Advances in imaging technology have allowed researchers to “see” a huge, heretofore undiscovered city under the jungle canopy of northern Guatemala. Palaces and fortifications, tens of thousands of houses, as well as elevated roads from the ancient Maya civilization have been detected by the use of LIDAR (Light Detection and Ranging). LIDAR allows the tree canopy to be digitally removed from aerial images of the ground cover. The Maya classic period is dated to AD 250–900. This new discovery means that the pre-Columbian civilization in Mesoamerica was much more densely populated and interconnected than previously believed. Of special interest is the evidence of raised causeways that connected population centers to each other and to quarries. (Elevating roads would permit passage during rainy seasons.) Complex systems for irrigation—using canals, dikes, and reservoirs—and terracing would have supported agriculture to feed masses of laborers. Some of the terracing structures observed may have been ramparts or defensive walls. It’s worth keeping in mind that the Maya’s dramatic reshaping of their landscape was accomplished without the use of the wheel or animal power. 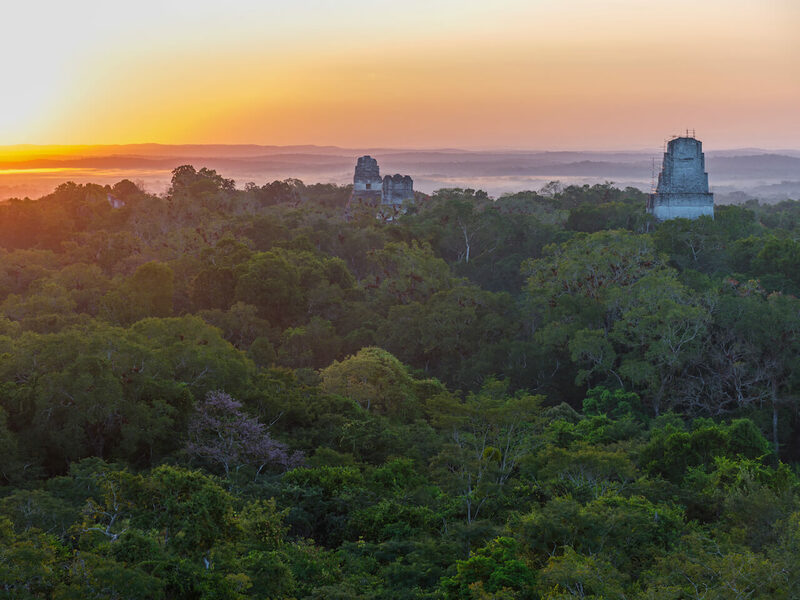 But the new LIDAR-assisted findings suggest that the Maya population was likely two to three times larger than has been generally supposed—as many as 15 million at its height. Other key Maya archaeological sites, such as Xultún, are also found in the Petén region, which includes the area surveyed. The LIDAR surveying project plans to eventually map more than 5,000 square miles (14,000 sq km) of Guatemala’s lowlands. The scientific research is led by a Guatemalan nonprofit organization called Fundación Patrimonio Cultural y Natural Maya (Mayan Heritage and Nature Foundation). Known as the PACUNAM Foundation, it promotes the preservation of cultural heritage. The LIDAR technology has also been used to survey the area of the ancient Khmer empire in Cambodia where the famed Angkor Wat temple complex is located. Recent reflections on why Maya civilization collapsed.